The JackLords - Buffalo's Legendary Rock n' Roll Band! 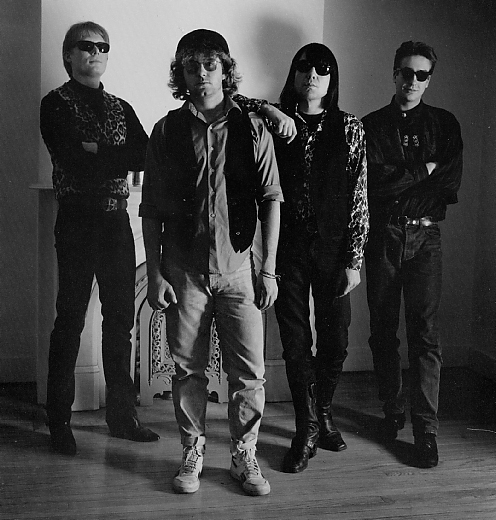 The JackLords were Buffalo's premier partying rock and roll band from 1988 to 1990. With influences ranging from surf instrumentals, garage, and British mod, to 60s frat rock and grittty blues and country, they packed local clubs such as Marshalls and Nietzche's with masses of dancing partyers! 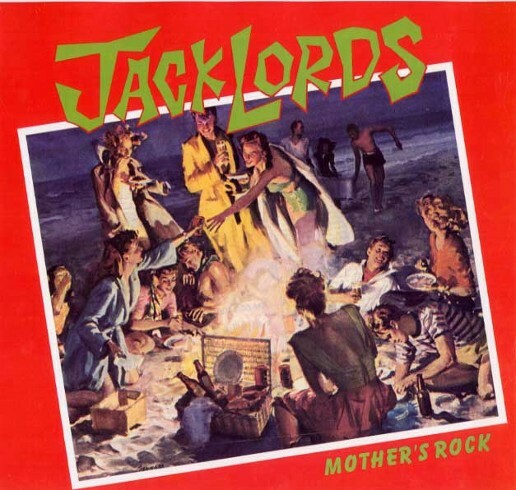 The JackLords only put out one complete album: "Mother's Rock," on Skyclad records (NJ). This little piece of vinyl is now considered quite a collector's item. The JackLords played some amazing and fun rock and roll shows, opening for such bands as: Teenage Head, the Cynics, The Washington Squares, Roy Orbison, The Original Sins, and Shadowy Men on a Shadowy Planet. In a "Buffalo Nighlife" poll, they were voted as Buffalo's best new rock and roll band for 1989. After they broke up in 1990, their members went on to play in such bands as the Steam Donkeys (Buck), Death Valley (Blue), Sons of Hercules (Casino), and the Dark Marbles (Yod), most of which are still performing. The JackLords LIVE - performing one show only - at Nietzche's on Allen Street, Buffalo, NY on Friday, June 10th, 2011 !!!! With the Irving Klaws and Here Come the Comets! The last JackLords LIVE performance, on November 30, 2002 was a huge blast! The joint was jumpin'! Ask anyone who was there! Buffalo's big n' loud Doombuggy played before us, and Rochester's rockabilly greats the Frantic Flattops played afterwards! Thank you Joe Rubino, Doombuggy, the Frantic Flattops, and everyone else for supporting us and letting us entertain you and having a great time! What a great time will be had by all on June 10th, 2011 at Nietzche's !! You've got to come! The JackLords music is now accessible to all! For free listening and free MP3 downloads, go to www/myspace.com and search: "JackLords". The entire "Mother's Rock" album (except for the cover songs) are available! Other songs will soon be added! Music for the people! Spring, 1988. 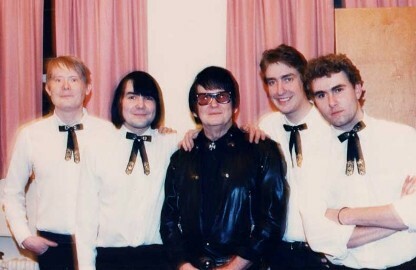 The JackLords open for Roy Orbison and his band to a sold-out Kleinhans Music Hall, Buffalo, NY. From left: Yod Crewsy, Casino El Camino, Roy, Buck Quigley, and Blue Aggie. Dig those funky western ties!